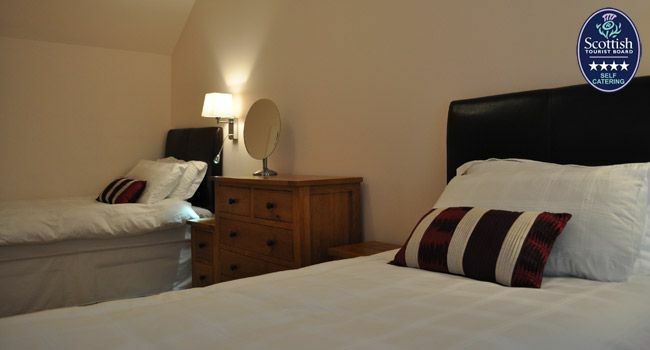 The Stables is our two bedroom property with a double and a twin room. 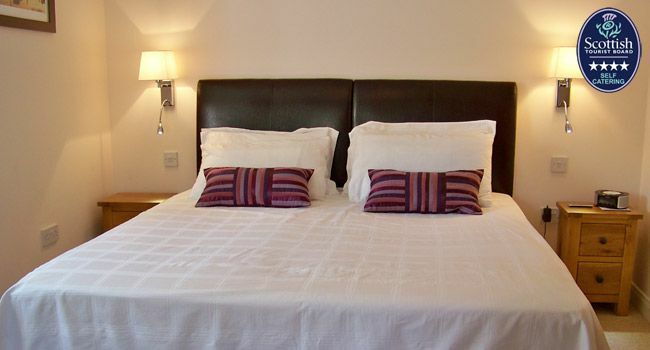 Both bedrooms are located upstairs with the family bathroom containing a whirlpool bath and shower over the bath. Downstairs as you enter the property you will come into the porch, ideal for hanging up coats and leaving muddy shoes after a day’s walking. From here you go through into the kitchen which is fitted with all modern facilities including electric hob and oven, dishwasher and microwave. There is also a dining table in this area as well. Attached to this area is the living room where you have access to freesat TV and CD radio with Ipod docking station and French doors out on to a patio area. 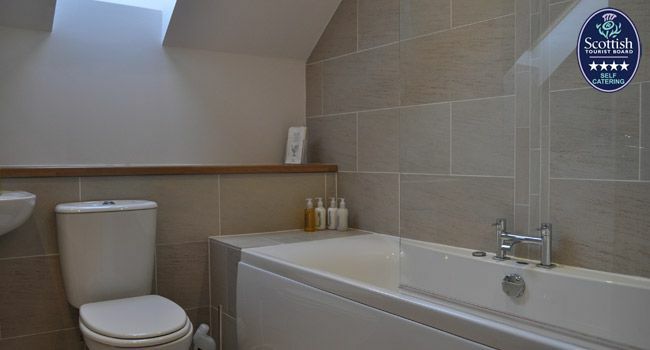 There is also a shower room with toilet and wash hand basin down stairs. 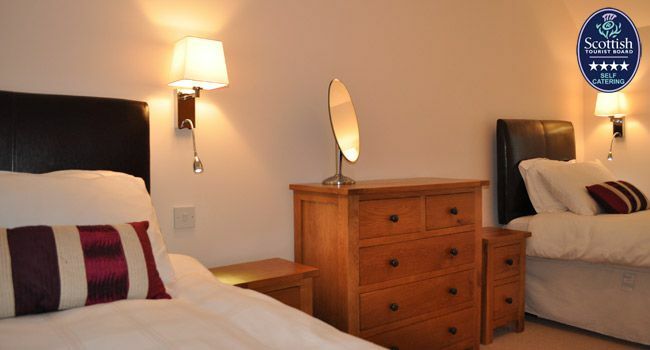 All properties have under floor heating as well as double glazing and price is inclusive of all heating and fuel costs. Towels and linen are all provided. There is a highchair and cot available on request as are ironing board and iron. 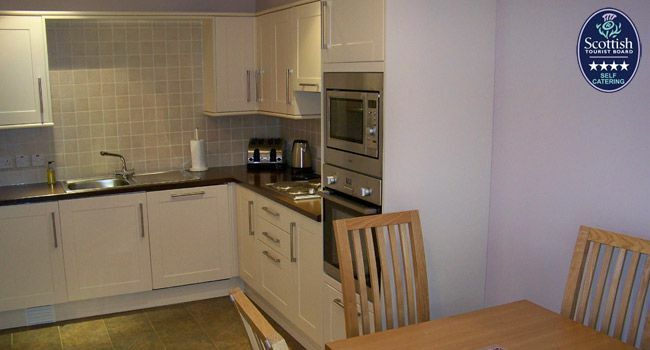 A laundry room is available for use by all properties with use of washer and tumble dryer. There is parking for two cars with each property. 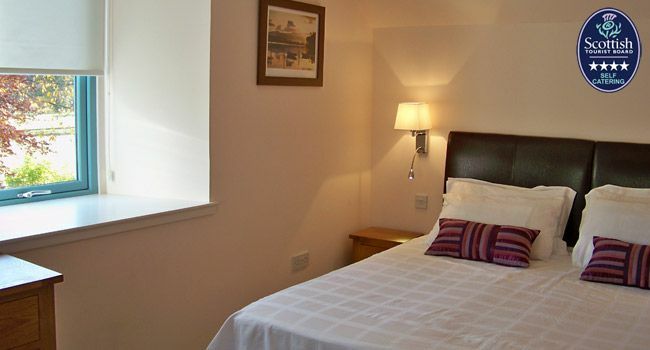 Pets are welcome at a small additional cost; dogs are to be kept in living areas and are not to be on the beds. Lockable storage sheds are available large enough to accommodate all types of outdoor equipment including skis, kayaks, bikes, golf and fishing equipment.